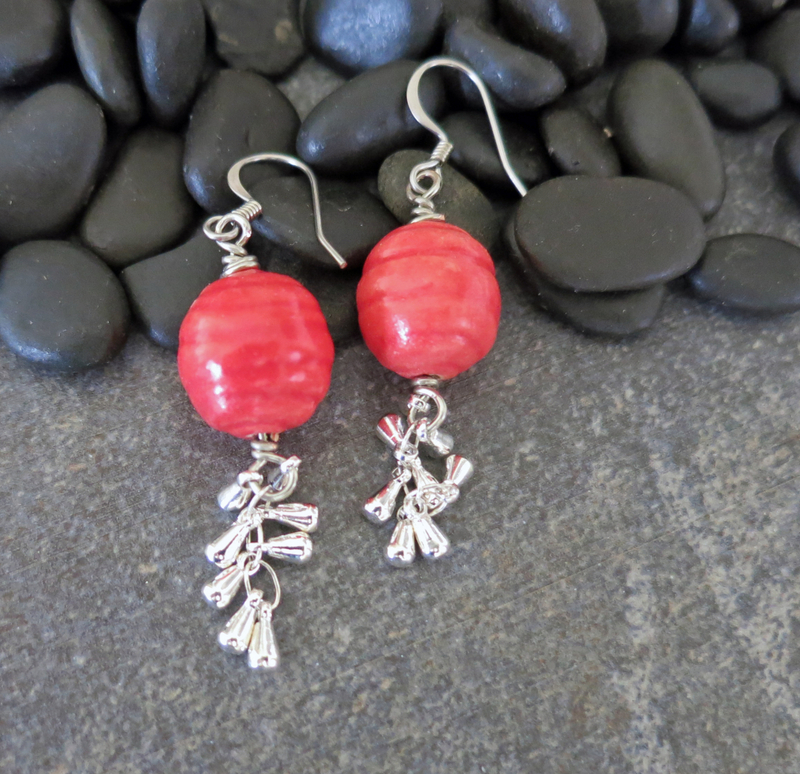 Just plain fun to wear; the Coral Cascade earrings feature coral colored ceramic beads with the cascade of small silver teardrop shaped beads. 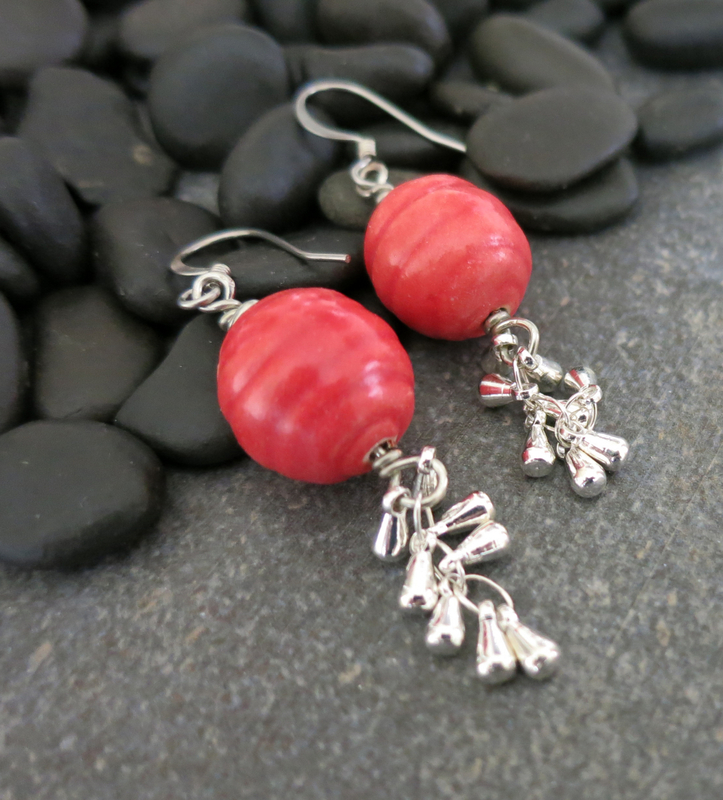 These handmade earrings have great movement and the silver droplets reflect the light and flatter your face. 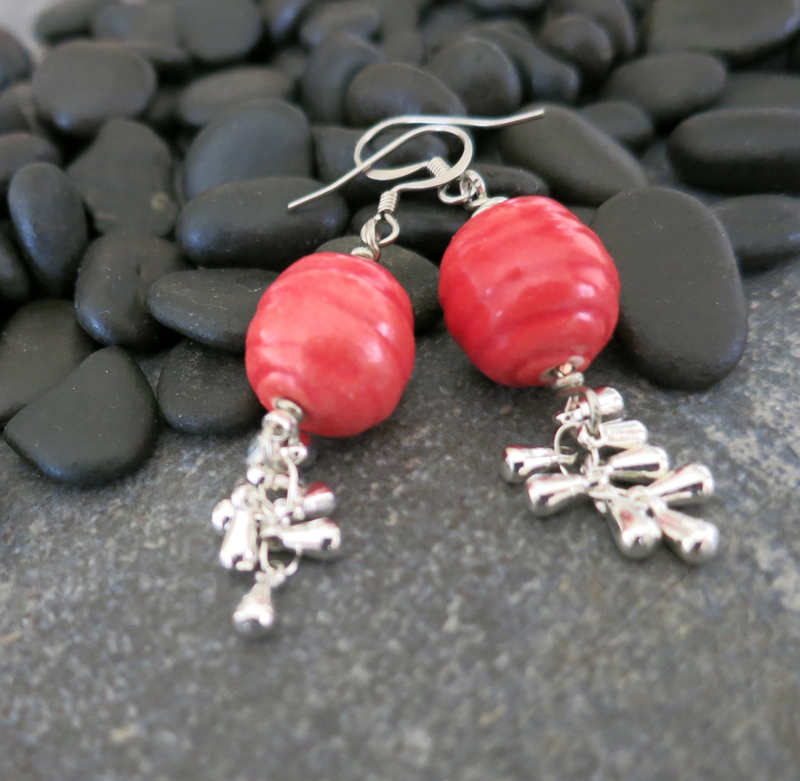 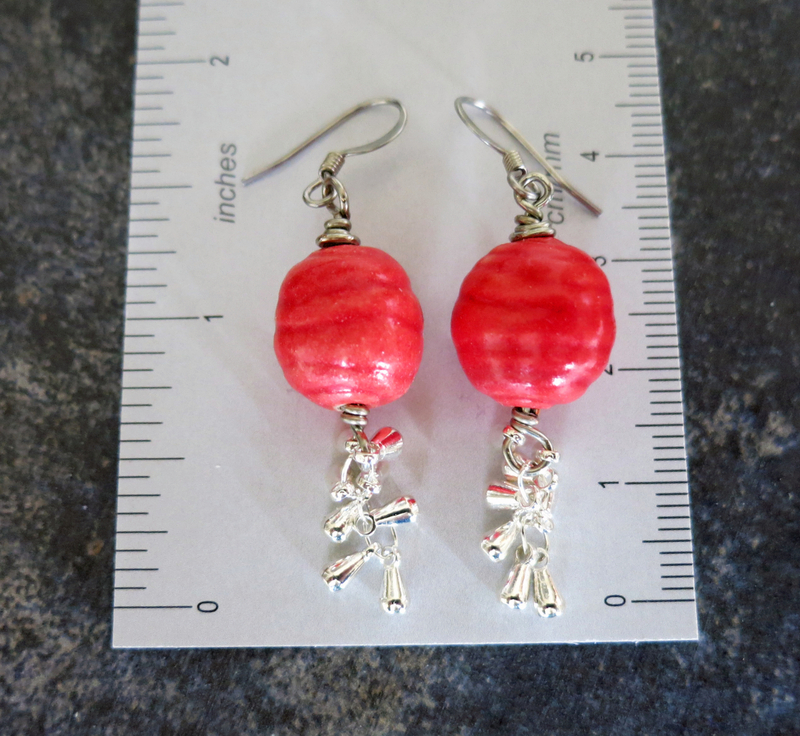 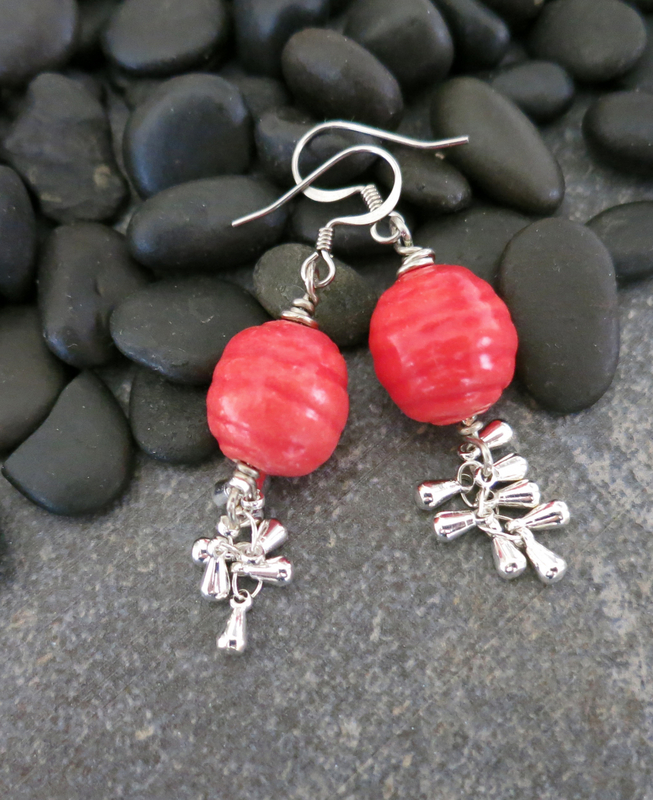 Great earrings for a beach vacation - or dreams of the beach!